In 2009, ND TV projected Cooch Behar Palace as one of the possible seven wonders of India and did a strong campaign in support of that. 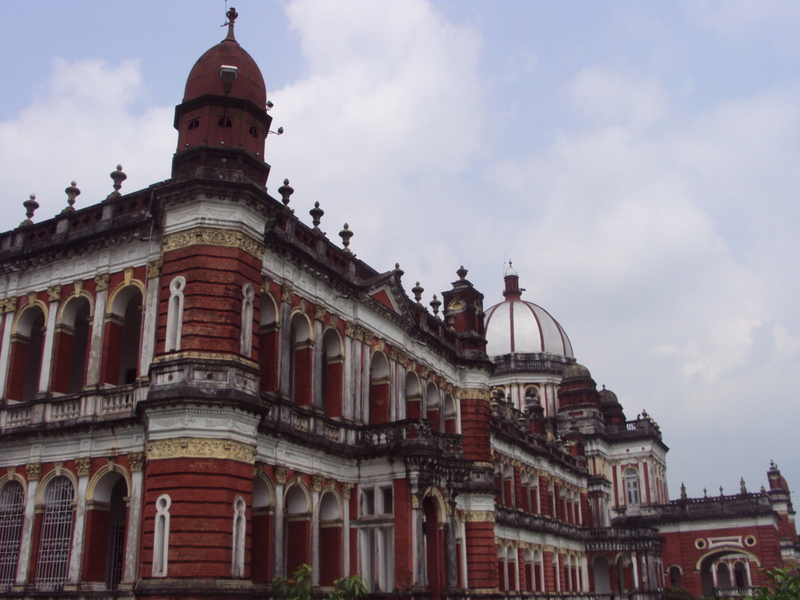 Popularly know as the Rajbari Palace, this magnificent Palace was built by Koch King Maharaja Nripendra Narayan in 1887. The Palace is maintained by Archeological Survey of India as a heritage building. Koch Rajbanshi people of South Asia sees the Palace as the last reminder of their glorious past in South Asia. Unfortunately the Palace is in very bad condition at present and the negligence of the authority is seen everywhere. CKRSD made a visit to the Palace on 24th September, 2012 and did a brief assessment of the situation. Click Cooch Behar Palace report to see and download CKRSD’s report on Cooch Behar Palace with Photographs. This entry was posted in random and tagged CKRSD, Cooch Behar, Koch Rajbanshi. Bookmark the permalink.